The National Assets Management Agency (NAMA) recently proposed an incentive scheme to encourage cautious buyers to purchase residential propertes and reduce the huge stock of property under NAMA's control. 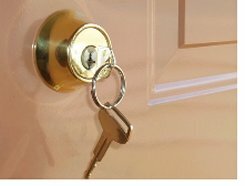 Buyers are extremely aware of the prospect of further drops in property values. Even if they feel optimistic enough to consider a house purchase, many still find it very dfficult to obtain mortgage approval from banks and lending institutions. has gathered together a deposit of €20,000 and has applied to his/her bank for a mortgage of the balance, i.e. €180,000. NAMA will defer 20% of the value of the property at the time of purchase, €40,000 in this case. Then, if the buyer is approved for a mortgage in the amount of €180,000, the house is purchased in the normal way. The buyer begins repayment of the mortgage and the bank, NAMA and the buyer wait 5 years to see how property values pan out in early 2017. If the house has maintained or increased in value in 2017, repayments of the mortgage continue based on the €180,000 figure and NAMA collects the €40,000 it had deferred from 2012. If the house falls in value over the 5 year period, and the house is valued at €160,000, NAMA will reduce the purchase price by €40,000 and the buyer then repays a mortgage based on the €160,000 valuation. NAMA needs to balance obtaining a return for the taxpayer against concerns that it is exerting too much influence on the Irish property market and preventing property prices reaching their "natural" level. 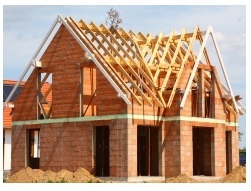 Sales of NAMA related property have risen from 25 a month to around 100 monthly and, if NAMA's scheme does attract buyers, 5,000 properties sold at say €200,000 each would earn the Irish state 135 million euros through the imposition of value added tax. 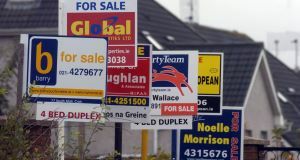 Critics of NAMA argue that that the price people are actually willing to pay for a property is shown by prices achieved at auctions such as the recent Allsop Space selloff, and that NAMA will need to set residential property prices at these levels. Imposing a higher price will not attract buyers. Also, incentive schemes such as this may only serve to repeat the mistakes of the Affordable Housing scheme, encouraging people without the long term means to continue mortgage repayments and getting into negative equity. Finally, NAMA will need to convince potential buyers that house prices will not fall even further than the 20% drop covered by the deferred purchase plan. This summary is based on a recent article published in the Irish Times newspaper and on the Bloomberg website. All enquiries on NAMA property sales should be addressed directly to NAMA or the receivers appointed by them. If you would like to receive our NAMA and property auction newsletter, with the latest information regarding the properties now under the control of NAMA, as well as private seller auctions, please subscribe to our newsletter by using the form above. New Central Bank Rules: How Will They Affect You?